With a name like “Surprise,” expectations are meant to be set to a high standard. This city, just 75 years young, has so much to offer its expanding community! Opportunities for growing businesses, families and the adventurous individual are sure to present themselves here. Join in the fun, celebrate the sunny lifestyle and see why 90% of people in the city recommend living in the Surprise, Arizona community! We have all heard so many times that “location” should be the driving factor when determining where to live. 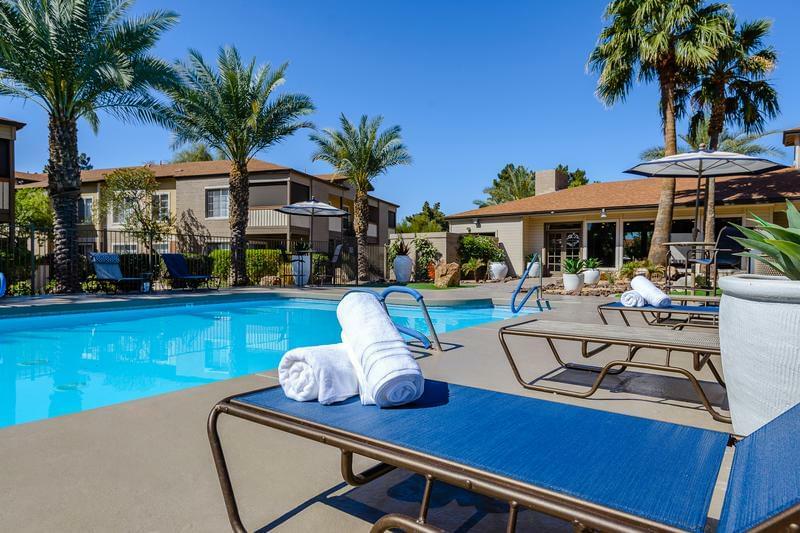 Surprise offers a prime location in Arizona as it is only 45 minutes from downtown Phoenix, 25 minutes from Lake Pleasant, sits at the foot of the White Tank Mountain Range and borders the Sonora Desert. Nestled in between such significantly different landmarks, one can truly get a taste of all that Arizona has to offer from urbanized to rural country to vast open desert with easy access to everything in between. Though Surprise is a small city relative to others, its expansion stands great. With major highways nearby, such at Highway 101, 303 and Grand Ave, there is no limit to the possibilities one can have access to. New developments such as Ottawa University, as a brand new educational facility, a state of the art medical center featuring dental, women’s health and maternity center and less than a mile away from major hospitals such as Banner Del E Webb Hospital, Surprise, AZ is becoming a city for all of its residents. The motto of Surprise, AZ is “Live, Work, and Play” - and it makes sense why! Surprise boasts a huge recreational draw. From swimming pools, recreational amenities, spring training facilities, national parks and access to the city of Phoenix, citizens of Surprise are sure to find places to play. Because it is continually expanding, the economy is growing as well; offering ample opportunity to live in a place where work and play for all ages are intertwined right outside your door. Ideal for the innovative and excellent for the entrepreneurial, Surprise issues hundreds of business opportunity and licenses annually to those opening a new venture. The community is known to be supportive, welcoming and friendly and this city takes great pride in ensuring quality of life for all of its residents and promoting happy and healthy communities of people. Surprise is BIG into recreation, so you will find a large tennis complex (frequented by famous tennis athletes every year), Cactus League games during spring training for the Rangers and the Royals, plenty of paths for every level of explorer and hiker through the park systems, a teen rec center, dog park and Dream Catcher Park – Surprise’s first park for those with special needs. Surprise, Arizona is committed to being an all-inclusive community and supportive of all its residents, and it’s easy to see why! Offering a wide variety of floor plans, the Promenade at Grand in Surprise, AZ is a luxury apartment community with amenities that are unmatched by any other apartments near Phoenix, AZ. You will be sure to find something to your liking here! Featuring one bedroom, two bedroom, three bedroom and four bedroom Surprise, AZ townhomes for rent, each apartment stylistically includes chef-style kitchens with full size appliances, great amount of storage and plenty of counter space for the avid cook or entertainer. Our spacious walk-in closets include built-in organizers intended to maximize the use of your storage areas. Additionally, each townhome and apartment in Surprise, AZ for rent has a full-size washer and dryer included! But the great living does not stop inside the walls of your new home! Just outside you will have access to your own private screened-in patio or balcony allowing you to have adequate space to entertain, or a nice nook to relax with a good book and enjoy the cool nighttime breeze. If you’ve been struggling to find a great place for you and your pet, the search is over! Promenade at Grand is pet friendly and even accepts large breeds. Let your pup walk around the property or let them run free in our off-leash dog park with agility obstacles. When you’re looking for a place to cool off from the Arizona sun, look no farther than our resort-style pools. We have not one, but two pools you can swim in or lounge in the sun by. Did we forget to mention the jacuzzi that will become your favorite place to unwind after a long day at work? Bring the family to the picnic and grilling area to serve lunch or hang out by the fire pit with rocking chairs. When you need to get into shape, look no further than our 24-hour fitness center, fully equipped with free weights, cardio and strength training equipment. Whatever you choose to enjoy, Aspen Square is committed to making sure that coming home is the best part of your day, every day. Give our talented staff a call today to schedule a tour of our beautiful apartments in Surprise, AZ for rent and experience living with the Aspen difference.